i'm guessing the title of the post might have got some of you thinking i was blogging about the olympics and victoria pendleton but i wasn't .... but i might as well add in a WOW to teamGB's incredible cycling performances in the olympics now i have started thinking along these lines. i have been glued to the cycling. after the road race and time trial the velodrome has been incredible - love the venue, love the sport, love teamGB, love the kit, love the ministry of marginal gains, love the giggling laura trott, the tearful fragile lightning quick victoria, the quietly brilliant jason kenny - to be honest all of them and the coaches and the commentary team! i suspect the rest of the world want to knock teamGB off their considerable perch right now and so they should... i honestly can't believe the medal haul. where it was won and lost! leave them out there NOT! it was great fun watching the men's road race at the london 2012 olympics. brilliant to be able to see some events free and up close (why would anyone buy a ticket for a road race???!!!). we were right at the top of box hill and a member of team gb was next to us with a walkie talkie and a notice board. 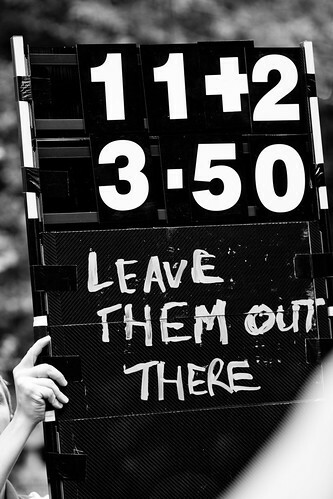 each time the cyclists came round he held up a board with the time gap to the the lead group. as this gap came down gradually it seemd like the lead group would be caught and obviously the team felt confident as he wrote on the board - leave them out there! well several things conspired to make this pretty bad advice. firstly because cav is such a great sprinter all the other teams seemed to have decided to just let team gb do all the work - with teams of 5 this was too big an ask and very strange tactics from countries who could have medalled in a bunch sprint (and pretty negative!). 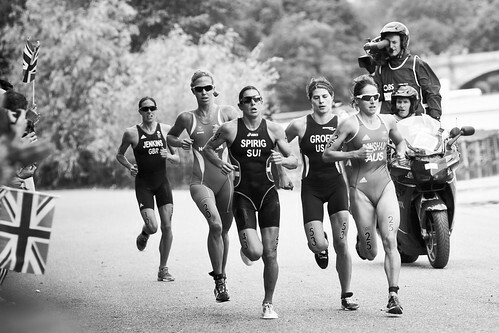 secondly another group got away to join the first and made the front group too strong. and thirdly it turns out team gb cyclists are human after all and just didn't have the legs to reel it back in. but it was great to see team gb, cav, brad, huge crowds and even the police in a great move high fiving the crowd from motorbikes as they whizzed by! clearly it was a disappointing result from gb point of view but cav is still a hero and it was fantastic to see lizzie won silver medal today in the women's road race. 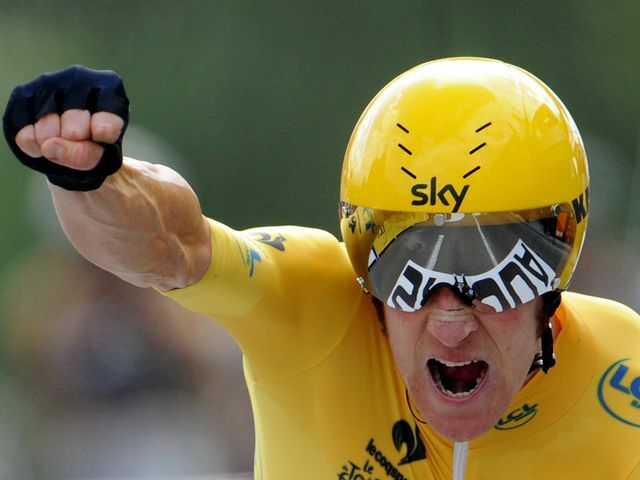 bradley wiggins has won the tour de france - wow!!!!!!!!!!!!!!!!!! in our house we have followed the tour for years. the itv4 highlights at 7pm are family viewing for three weeks. it's one of the few times of the year that we take food and eat it in front of the tv rather than round the table. and now joel and harry are elsewehere, texts and tweets still make it somethng of a shared experience. i think it is without doubt the single most difficult sporting event on the planet. there are layers and complexities to it that i won't attempt to explain - sprints, time trials, mountain stages, teams, several jersey competitions - the easiest way to get into it is to decide to follow along one year. but to win it and the yellow jersey is simple to understand - you have to complete the whole tour the fastest overall. when we started watching there had been the occasional british cyclist - chris boardman, david millar for example - who had won a stage, but we honestly could not imagine ever producing a tour winner. france, spain, italy, germany, australia, usa... seemed to know what it was about and have great traditions of cycling - but not britain! 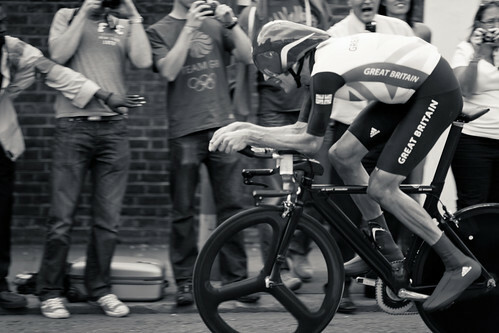 this is why bradley wiggins win is so extraordinary. there has been such a turnaround in british cycling in both men and women's racing. it's not been an overnight thing - it never could be. but bradley has come through time trialing, track cycling, and some hard lessons over the last 3 years of the tour. he has won world championships, gold medals and before the tour was already an extraordinary cyclist. but the tour is something else and it's been a huge effort on so many peoples part along with bradley who has dedicated himself to this goal. of course we also have other amazing men and women cyclists at the moment - mark cavendish, victoria pendleton, chris hoy to name a few and chris froome who has been a total revelation in this year's tour de france coming second - yes first and second (oh and cav winning three stages including the champs d'elysee for the fourth time and becoming the world's best sprinter ever!!!!). bradley wiggins will surely be sports personality of the year as one of the greatest sportsmen britain has ever had and sideburns will definitely be back in fashion!!! the sophia network have a day today (sorry i forgot to blog about it before) - on men women and the bible. i'm sure it will be really good! a while back the network had an online discussion group exploring what the bible says about men and women. as a result of that jen has edited a book in the image of god with various contributers from that original group. it's being launched at the day today. it's a series of eight sessions, ideal for a small group. it obviously depends on your tradition on whether this is relevant or new, but if like me your background is evangelical then it's pretty important to do the work on exploring what the bible has to say. it seems weird to say but we did a lot of thinking around this about 25 years ago now! part of jen's motivation for setting up the sophia network a few years ago was that it didn't seem like a lot had changed in the world of youth ministry which is a rather depressing thought in some ways. though the sophia network is definitely doing its part to help change that! we're proud to have this book as our latest release on proost. as ever it's available in print or download. if you are elsewhere in the world than the uk and want a print version you can order through the proost lulu bookshop - this certainly should work in america. proost subscribers it's included in your subscription in the downloads area. You O Lord are Lord of the road. You have opened out the landscape like a map. are not hidden from your sight. you know all their ways. wild mountain passes and sheltered valleys. The winds are your servants. the tailwind for the big ring. The summer rain cools my back. but you are always on my wheel. we ride together and laugh and talk. You push the pace, half a wheel ahead, you make me work. and wait when I bonk up. You will never drop me. You are a mystery in the peleton. fetching and carrying water and provisions for the team. even a rider from a competing team! I am happy to ride in the glory of your presence. a whirr of super-charged energy. closer than the rider and the bike. Take your spirit away and there is no race. In you we ride and have our being. 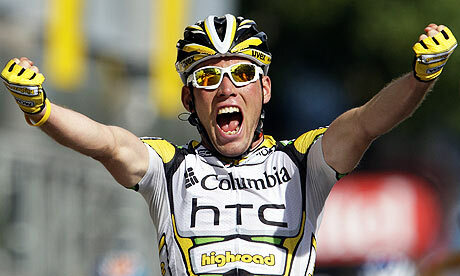 congrats to mark cavendish on a brilliant sprint on the champs elysee yesterday in the final stage of the tour de france. winning 6 stages in a tour is incredible! he simply seems to be the fastest sprinter on the planet winning by a margin i can't remember ever seeing! and who would have thought that bradley wiggins could make fourth?! again a brilliant ride. i thought it was a great tour. what am i going to do each night at 7pm now? congratulations to ed lee. i went to the opening of his exhibition at pitshanger manor gallery in ealing of 5 olympic hopefuls. there are 5 photos of each hopeful following them in training. ed is part of the ealing london independent photography group. the ealing times review is here. the exhibition is only on until the end of august. if you do go, there is also a very interesting exhibition of photos on afghanistan, although at points it tries too hard to communicate the dutch army's involvement who sponsored the photos! i am enjoying the olympics - an hour summary each night ends the day nicely. i loved this piece celebrating women athletes in today's guardian.